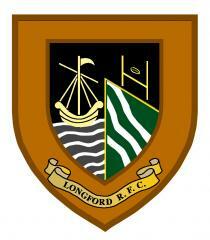 Longford Early XV bowed out of the Cup after narrowly losing out in Athy. Longford raced into a 12-0 lead within the first fifteen minutes with tries by Sammy Murphy and Lorcan Connolly and went into half time with a 12-03 lead. Unfortunately, Longford’s second half display demonstrated some poor decision making along with one out runners getting turned over. Athy started to get on top and turned their half time deficit into a 16-12 lead half way through the second half. Longford pressed for another score to haul back the deficit and Peter Mimnagh was unlucky not to have been awarded a try after a good forward drive. However, Longford were undaunted and Podge O’Farrell crashed over to put Longford into a one point 16-17 lead. However, Athy scored straight from the kick off to move into a 21-17 lead. Unfortunately, this was the way the match finished. It was a good learning experience for this young side and chances are that they will be back much stronger in the cup next year. The Early XVs next match is their last home match of the season against Suttonians on February 17th. Longford Squad: P Mimnagh, P Dardis, P O’Farrell, D Gilmore, F Davis, D Corrigan, J Geelan, D O’Brien, R Shaw, D McHugh, J Mimnagh, S McGuinness, S Murphy, L Connolly, D Connolly, J Forde, B Hanley, P Kirk, F McGowan, W McDermott, M Casey & R McCormack. "Unfortunately we couldn't execute the chances we created today against a physical Athy side. We didn't get ideal preparation before kick off today having to wait for over 40 minutes to get into the changing sheds, we have our game day prep timed and losing over 40 minutes on your timings isn't ideal. But you have to deal with these things and I thought us going into a 12-0 lead was a good start from that disruption. But unfortunately, we let ourselves get pulled into a contest. We worked hard to get into a winning position late in the game again but gave that up and ultimately, we couldn't nail the chances we created. We did get over the line three times without reward so that's disappointing. But we keep saying we are about the 30+ and that is still a plus for where we are going. So unfortunately, the cup is done for our Early boys but still two league games is a great way to keep going upwards."